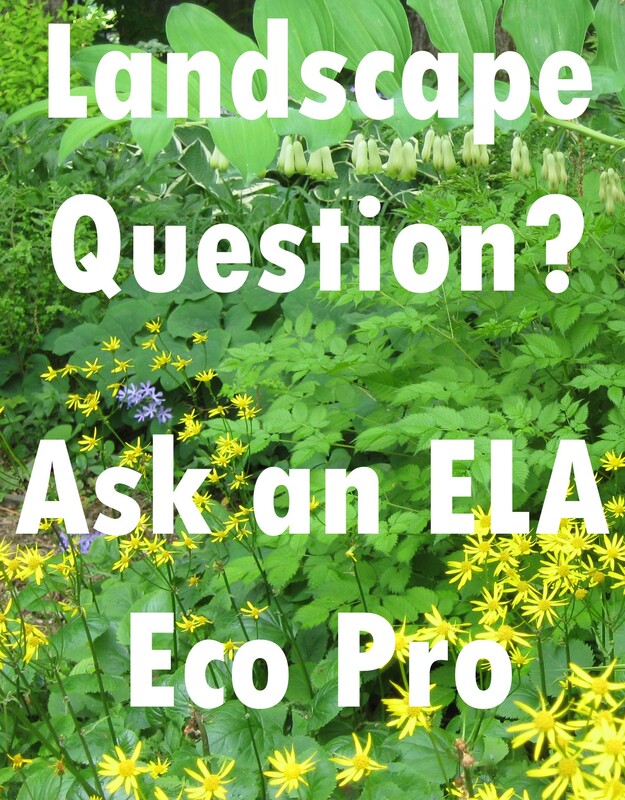 Anthony is a panelist at ELA’s Large-Scale Landscapes Symposium at Wellesley College on January 18th, 2014. The Greenway is a mile-and-a-half-long public park that stretches from Chinatown to the North End in downtown Boston. It is a linear series of small parks that sit above the I-93 tunnel totaling approximately 15 acres, four of which are turf. The Greenway is cared for by the Greenway Conservancy and is Boston’s only 100% organically maintained public open space. 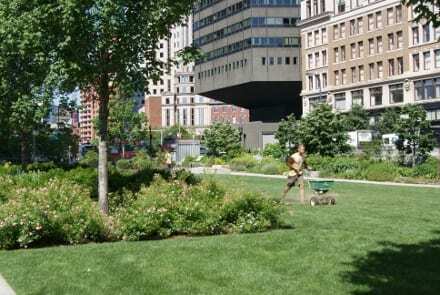 Because it is a public park, the care of the Greenway’s lawns and landscapes face many challenges, and in order to successfully maintain them organically the horticulture staff utilizes numerous strategies to maintain the lawn areas. 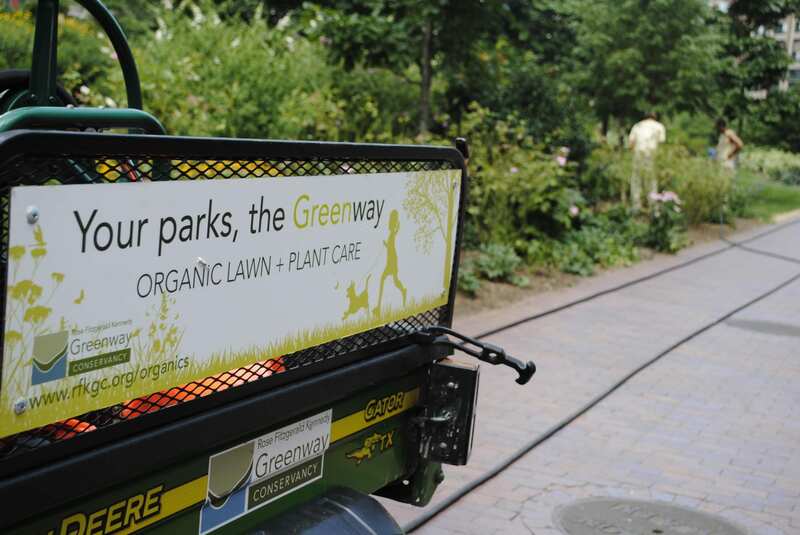 Our vehicles convey our moto: Your parks, the “Green”way. First and foremost, the foundation of not just an organic but of any traditional lawn care program should be developed from the results of a soil test. Every fall, all of our turf areas are sampled and the soil sent off to the UMass soil lab for a chemical analysis. This test, which costs only $15 per sample, is money well spent. We also identify a few representative plots and send soil samples from those areas to the Soil Food Web of New York for biological analysis. While more costly at $240 per sample, this second test provides valuable information beyond the chemical analysis and allows us to monitor the biological trends of our soils. All of our lawn care strategies for the upcoming year are based upon our interpretation of these two tests. 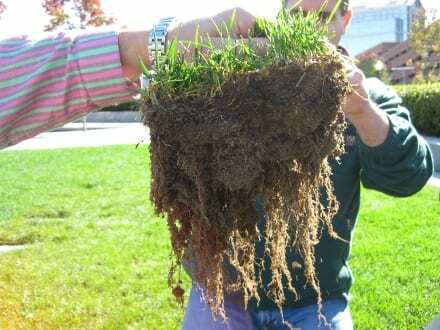 Promoting deep rooting depths is one of the goals of a successful organic lawn program. Along with sending samples away, we also own our own microscope. We are working hard to better utilize this equipment to conduct in-house biological analysis of not only our existing soils and our own compost tea, but also of purchased products such as compost. We currently produce approximately 6,000 to 7,000 gallons of compost tea annually using four 50 gallon brewers. In order to produce a good tea, you have to use high quality compost. If the necessary beneficial microorganisms are not present in the compost, they will not be present in the final tea. Unfortunately quality compost can be hard to locate. We find it is essential to either conduct and interpret our own tests, or ask the supplier for test results when purchasing in order to determine the quality of the compost. Presently we produce a fungal tea for our lawns. It is mixed at a 1:1 ratio of tea and decanted water and applied as a drench three times annually. These applications take place in the late spring, early summer, and early fall, preceding fertilizer applications. They help to ensure that active biology is in the soil to break down the organic fertilizer compounds into forms that are usable by the turf. Because the Greenway is a new park with recently manufactured structural soils, we are trying to build up the fungal populations that develop more slowly. As time passes and we reach certain satisfactory fungal levels, we may switch to a bacterial dominant tea, as that is the relationship that is seen to occur naturally in grasslands. Our Plant Healthcare Specialist Eric DiTommaso applies compost tea to Greenway lawns. Based on the results of the soil tests, we apply organic fertilizer and other amendment products as necessary. For us, this has meant applying organic fertilizer at a rate of 12 lbs/1,000 ft2 three times per year following tea applications and a granular humate at a rate of 6 lbs/1,000 ft2 two times per year, in spring and fall. The humate application helps build soil structure and acts as a biological food source. On occasion, we also apply other products such as calcitic limestone and gypsum as needed. Eric also applies organic fertilizer to our lawns. In the late spring and early fall, we renovate the Greenway’s lawns by aerating and over-seeding. During spring renovations, the lawns are top dressed with ¼ inch of compost in order to increase both the organic matter content and the cation exchange capacity, as well as provide the soil biology with a food source. Periodically we will aerate at other times as well, generally after lawn areas have seen heavy use, usually associated with special events. 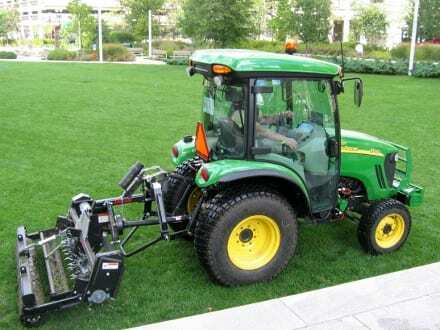 The author aerates Greenway lawns using a fracturing aerator attached to a tractor. Weed control is one of the areas in organics that does not currently have many good options. In a conventional program, some of the associated costs would be for control products. Due to cost and efficacy issues, we do not currently rely on any organic pre- or post-emergent products. In our program, we try to encourage an environment that naturally reduces weed pressures. Instead of control products, we spend some of that money on grass seed to help create a healthy dense stand of turf that will shade the soil and create an environment that is unfavorable for weeds to germinate and thrive. Creating an environment that cultivates a thick dense stand of turf is the best “weed deterrent” of them all. To further increase turf density and shade out weeds, we generally mow all of our lawns at three inches during the season and maintain strict standards for our mowing practices such as the use of sharp, properly maintained blades, double cutting, alternating mowing patterns, and returning grass clippings to the lawns whenever possible. Studies have shown that leaving clippings can add as much as one application of organic nitrogen back to the soil; the clippings break down quickly and contribute very little to the formation of thatch. Of course, that is not to say that we don’t have any weed issues. As with any organic program, it comes with the understanding to accept certain amounts of weed pressure and to educate the public about this as well. For example, we tolerate a certain amount of clover in our lawns as it is a legume and fixes atmospheric nitrogen back into the soil. If and when we have weeds over our threshold, we will hand pull them. We do this as one of our routine horticultural tasks, but we are also lucky in that we have a strong volunteer program with volunteer opportunities every week throughout the season. One of the tasks that we do with the volunteers on an as-needed basis is hand weeding of the lawn areas with higher weed pressures. This practice, in conjunction with our other methods to create a dense stand of turf, has caused our broadleaf weed population to decrease significantly and very little hand weeding has been necessary this past season. Volunteers enjoy a nice morning on the Greenway while helping hand weed a lawn. Occasionally, in areas that have had particularly high or noxious weed pressures or excessive stress, we have had to strip and re-sod them. We will temporarily rope off the affected area to give it a little time to rest and re-open once the turf has recovered. This is done with public use in mind; we try to minimize areas that need to be closed temporarily and very rarely close off an entire area, barring a serious situation. Proper irrigation is another important aspect of our organic program. Watering at the right time and in the right amount is very important, not only for the health and vigor of the turf, but also for the microorganisms in the soil. The Greenway’s irrigation system is constantly monitored and adjusted in order to give the turf what it needs to properly thrive without wasting water resources. Overall, managing a public park organically employs a lot of familiar techniques and some that may not be as familiar. A lot of components are directly connected to one another, it’s a combination of managing on a micro and macro scale and understanding the relationships the components have with one another and how they interact naturally in nature. 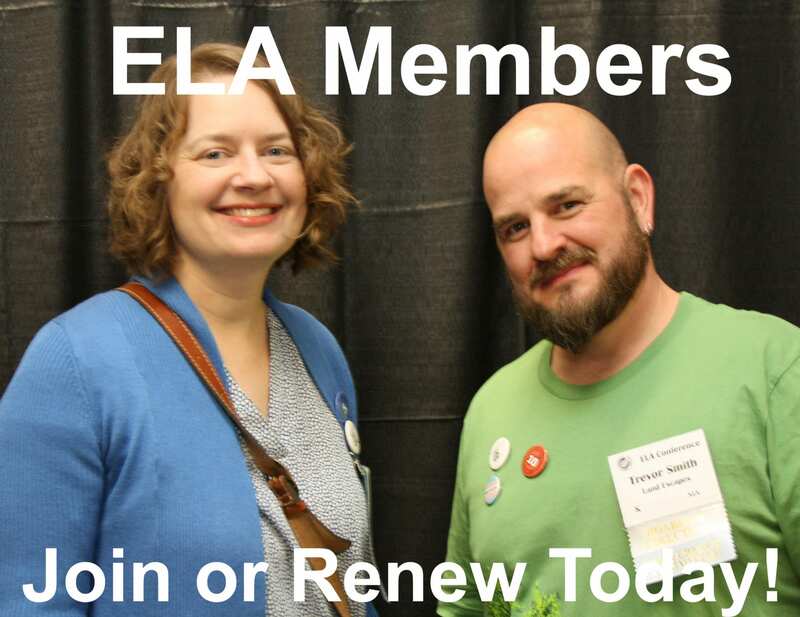 We will be the first to say that we are always learning. As new studies, techniques, and products are discovered, we are open-minded about trying them out and experimenting. 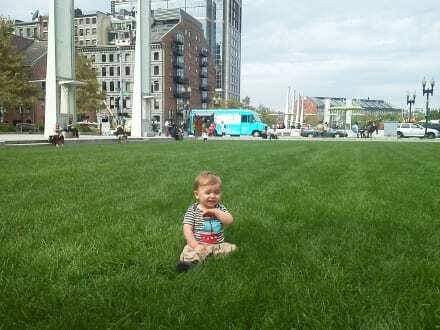 Seeing the smiling face of a youngster enjoying our safe and healthy lawns makes it all worthwhile. Maintaining the Greenway organically to the high degree that we do, is something that the staff feels very passionate about. We are extremely proud to provide a public space that is safe and free of harmful synthetic fertilizers and pesticides. Seeing people, particularly children and pets, enjoy the landscapes we care for on a daily basis confirms for us what we do and why we do it. 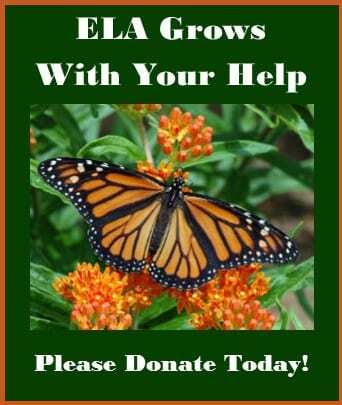 To learn more about the Greenway and volunteer opportunities please go to our website at www.rosekennedygreenway.org. Anthony Ruggiero, Horticulture Foreman, joined the Greenway Conservancy in June 2009, with a strong passion for Sustainable/Organic Land Care. 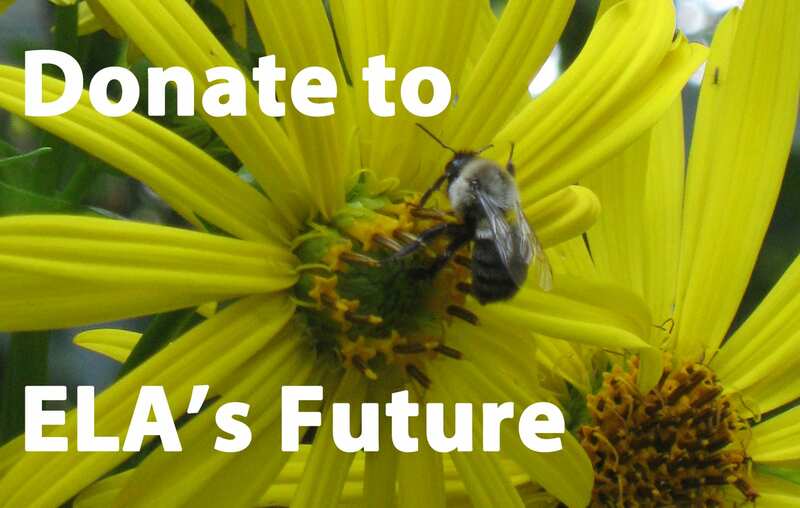 He is responsible for the direct oversight of the Horticulture crew and the day-to-day horticultural activities on the Greenway, as well as for the management of the Greenway’s Organic Program and Irrigation Systems. Anthony’s previous experience includes working in all aspects of the Green industry, but specializing in Sustainable/Organic Land care. He holds an Associate’s degree in Turfgrass Management from Stockbridge University, a Bachelor’s degree in Plant and Soil Science from UMass Amherst, and is a certified AOLCP. He can be contacted at aruggiero@rfkgc.org.